History is always a source of constant and sometimes passionate debate and it is truly remarkable the number of cars which become embroiled in such disputes. 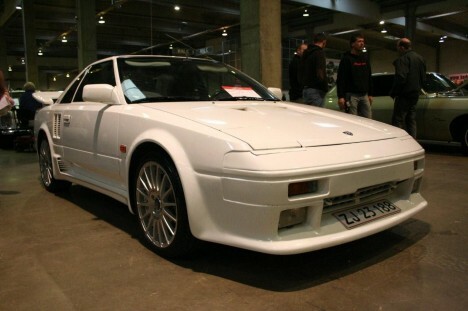 The Toyota MR2 is a car whose true origins have became obscured and subject to much speculation and doubt in recent times with an ever popular theory being that the Toyota MR2 was in actual fact a prototype of a subsequently abortive Lotus produced car. The evidence to support such a claim is at best, speculative and merely indicates towards the hypothesis rather than proving or refuting it in its entirety. There was a model of car produced by Lotus which subsequently found itself scrapped and no further commitment was made to its production: the Lotus M90. The fact that the Toyota company also had a majority share holding in the Lotus franchise has also set many a gossiping tongue a wagging. The Toyota MR2 has enjoyed a rather long lifetime especially in comparison to the average market profitability of sports cars which tend to be retired after ten years or so. Production of the Toyota MR2 began in 1984 and finally came to an end in 2007 to a great deal of actual disappointment from both consumer and executives alike. The Toyota MR2 seemed to be a car that seemed to attract controversy wherever it went, earning itself some disapproval from racing purists who are such a pedantic lot at the best of times! The association with Lotus whether it was accurate or not meant that there was a greater degree of expectation imposed on the Toyota MR2, what with many consumers expecting it to be in the same league (in terms of performance) of other, more exotic and costly sports cars. Racing afficandos were put off by the conspicuous absence of a wishbone suspension system, where the overwhelming majority of consumers were more than happy with the Toyota MR2. Whilst the Toyota MR2 may not have had the requirements expected by the racing fanatics, what it did feature and was used as a focal selling point was its rather effective fuel consumption which was surprisingly economic for a sports car. However, taking on board the criticisms that racing fans had leveled at the Toyota MR2, Toyota decided in 1987 to provide an alternate type of engine which would allow for a greater degree of power to be achieved. In order to maintain the overall stability and security of the Toyota MR2, the new models were also fitted stabilizer bars. The body underwent a major overhaul as well with stronger, more durable materials used to increase rigidity. Somewhat surprisingly the models featuring these new design changes were not sold at all in the European market, and there is no evidence to give any real reason as to why. The Toyota MR2 was popular in Europe and there was no excessive regulations limiting its sale, production or distribution and so it is surprising that Toyota did not capitalize on such a captive market.